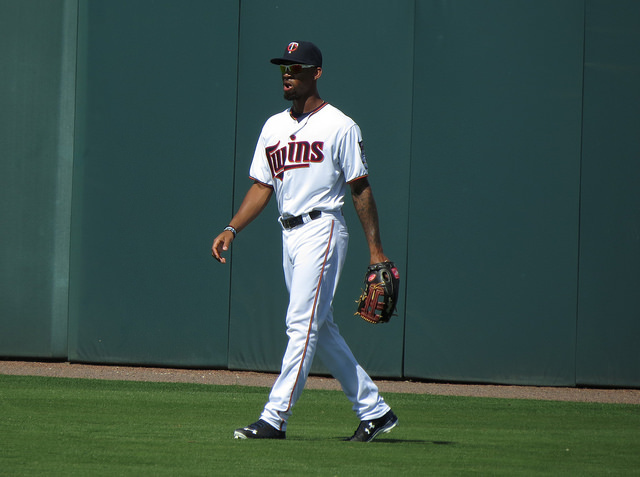 Before Monday’s game against the Chicago White Sox, fans in Twins Territory were debating whether or not Byron Buxton was overmatched in the Major Leagues. Buxton, who was rated the #1 prospect in all of baseball before the start of the season, had been called up from double-A Chattanooga over a week ago because of a shortage of outfielders on the big league club. While in Texas, Torii Hunter decided to serve his two-game suspension for throwing things onto the field after his ejection during the Twins last home stand since he wasn’t feeling well. At the same time, Aaron Hicks, who had been playing in center field since mid-May, suffered a sore elbow. With an outfield shortage on the big league club and Hicks headed to the Disabled List, the Twins had to go down to the minors to bring someone up. They could have gone to triple-A Rochester to recall Oswaldo Arcia, but he was struggling. 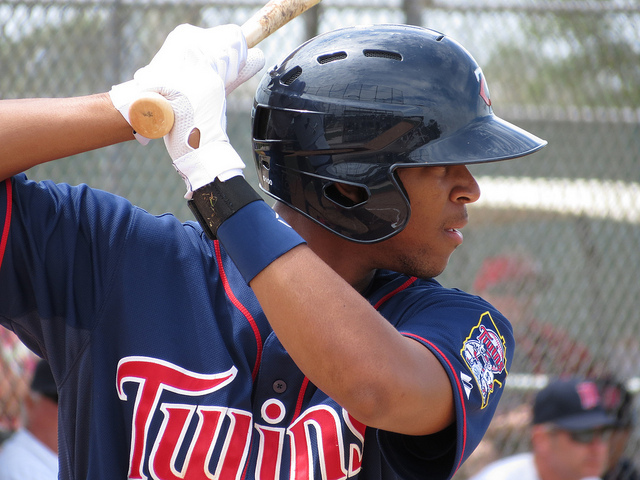 And, they already had another one of their top outfield prospects, Eddie Rosario, on the club. It didn’t leave very many options except to dip down to the double-A level and bring Buxton up to the big leagues. Since his debut a week ago Sunday, Buxton had struggled at the plate until Monday’s game against the White Sox where the Twins whipped them 13-2. Before that game, Buxton had three hits in 25 at bats for a .120 average and two runs scored. Buxton was due for a breakout game and he got it. It all started in the first inning when Buxton turned what would normally be a single into right-center field into a double. He scored on a base hit by Brian Dozier to give the Twins a 1-0 lead. In the top of the third, the White Sox had the lead 2-1 with two outs when Buxton showed off is arm. He threw out Melky Cabrera out at the plate while he was trying to score from second on a single by Alexei Ramirez to end the inning and a potentially big inning for the Sox. 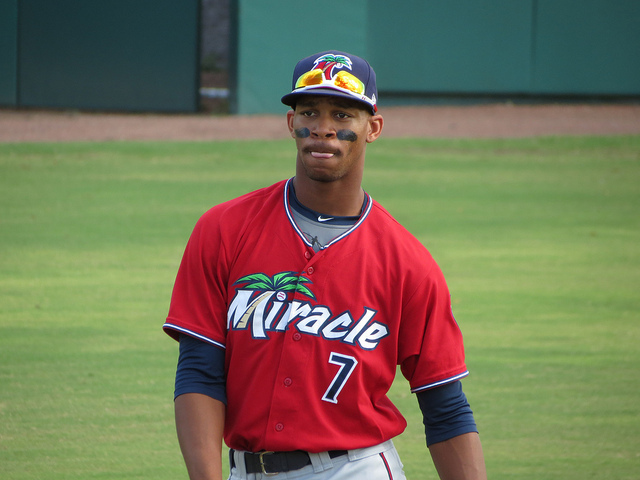 In the sixth inning, Buxton again showed what he could do with his speed. With the Twins leading 9-2, Buxton hit a ground ball in the hole at shortstop. Usually, it would be an out for most players, but not for Buxton. To someone listening to the game on the radio, it seemed that Buxton was reaching first as Ramirez was fielding the ball. Buxton was safe with his second hit of the day and would come around and score on a two-run scoring hit from Torii Hunter. But, the excitement didn’t end there. In the eighth inning, Buxton would reached base for his third hit of the game. He then scored on a two-run home run from Dozier, making the score 13-2. By the time the game was over, Buxton had gone three for five, raising his average to .200. He scored three runs bringing his runs scored totaled to five. Not only that, he’d ended a potentially big inning for the White Sox. But, I wouldn’t get too excited yet about Buxton doing this on a consistent basis. It might seem on the surface that he was a one-man wrecking crew for the Twins in that big win over the Sox. Many players helped to contribute to the Twins success that night and Buxton played a big part in it. I also think it’s important to keep in mind that many of the good players in baseball didn’t always have a smooth transition into the majors. Take Hunter for instance. 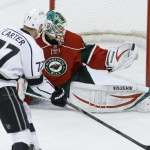 Hunter first came up in 1997. However, he didn’t blossom until the 2001 season for the Twins. He would help lead the Twins to three division titles as their centerfielder before leaving via free agency after the 2007 season. Or, how about a player like Mickey Mantle, considered to be one of the greatest centerfielders of all time and the best switch-hitter of all-time who played for the New York Yankees back in the 1950’s and 1960’s. During his rookie season of 1951, Mantle was struggling at the plate that he was sent back to the minors. He would hit 536 home runs in his career, the most by a switch-hitter. And, then of course there’s the greatest centerfielder of all time in Twins history, Kirby Puckett, who seemingly didn’t struggle when he joined the club in May of 1984 when he got four hits in five at bats in his first game. Puckett would finish his first season with a .296 batting average, 31 RBIs and 63 runs scored. That’s still a pretty solid rookie season despite the fact that he didn’t hit any home runs that season. He would go on to have 207 home runs in his career before retiring in 1996. Buxton will go through struggles with the Twins. We may not even see his full potential right away both in numbers and what he can do on the field. If that breakout game is any indication, Buxton will provide plenty for the Twins provide it that he sticks with it.